•Chrome is electro-plated nickel-chrome resulting in a brilliant high gloss finish. It is a quality finish that is both hard and durable with a high tech look at an economical price. 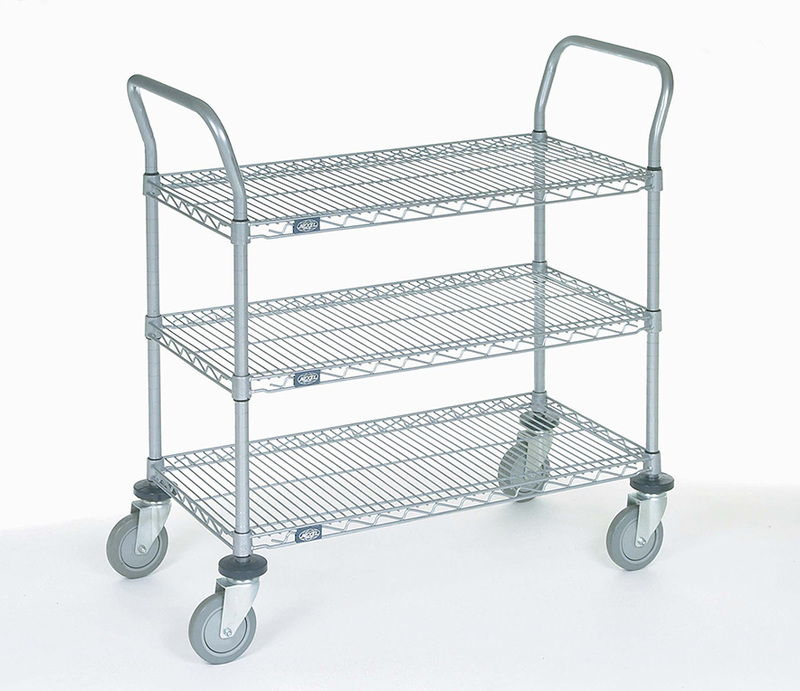 Utility Carts Wire 3SH can be maneuvered through corridors and doorways without difficulty. Shelves adjust on 1" increments for added versatility. 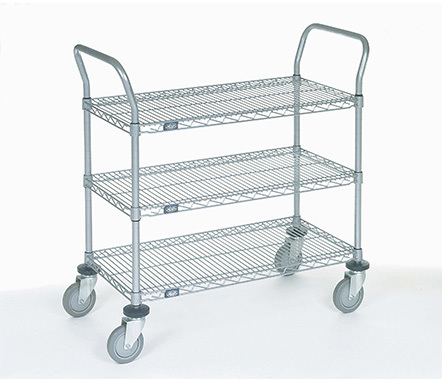 Nexel Cart consists of 2 chrome-plated "U" shaped handles, 3 shelves, plastic shelf clips, and choice of caster and donut bumpers. Size: 24" wide x 60" long. Number of wire shelves: 3. Casters: Polyurethane wheel casters with a capacity of 1,200 pounds per cart.